Toys are the heart and soul of every child in their formative years, but there was a time when certain toys ruled the world (and to an extent they still do). 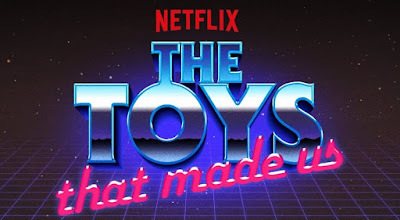 That is where Netfilx's The Toys That Made Us, an eight-part documentary series that covers the secret history of the world’s most important toy lines, including G.I. Joe, Barbie and Star Wars, comes in. 1. Transformers - Transformers is a media franchise produced by American toy company Hasbro and Japanese toy company Takara Tomy. Initially a line of transforming toys rebranded from Takara's Diaclone and Microman toylines, the franchise began in 1984 with the Transformers toy line, and centers on factions of self-configuring modular extraterrestrial robotic lifeforms (often the Autobots and the Decepticons) in an endless civil war for dominance or eventual peace. 2. LEGO - Lego is a line of plastic construction toys that are manufactured by The Lego Group, a privately held company based in Billund, Denmark. The Lego Group began manufacturing the interlocking toy bricks in 1949. Since then a global Lego subculture has developed. Supporting movies, games, competitions, and six Legoland amusement parks have been developed under the brand. As of July 2015, 600 billion Lego parts had been produced. 3. Hello Kitty - Hello Kitty is a fictional character produced by the Japanese company Sanrio, created by Yuko Shimizu and currently designed by Yuko Yamaguchi. She is depicted as a female anthropomorphic white Japanese Bobtail cat with a red bow and, notably, no mouth. Shortly after her creation in 1974, the Hello Kitty vinyl coin purse was introduced by Sanrio in March 1975. The character was then brought to the United States in 1976. 4. Star Trek -"Star Trek" follows the crew of the starship USS Enterprise as it completes its missions in space in the 23rd century. Captain James T. Kirk -- along with half- human/half-Vulcan science officer Spock, ship Dr. "Bones" McCoy, Ensign Pavel Chekov, communications officer Lt. Nyota Uhura, helmsman Lt. Hikaru Sulu and chief engineer Lt. Cmdr. Montgomery "Scotty" Scott -- confront strange alien races, friendly and hostile alike, as they explore unknown worlds.